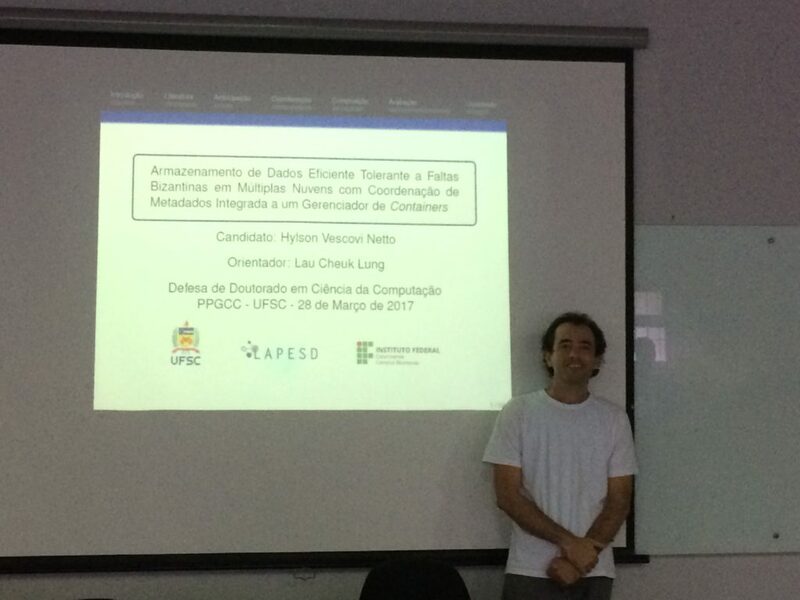 Ivan Luiz Salvadori has earned his PhD degree in Computer Science from PPGCC/UFSC on 19/03/2019. 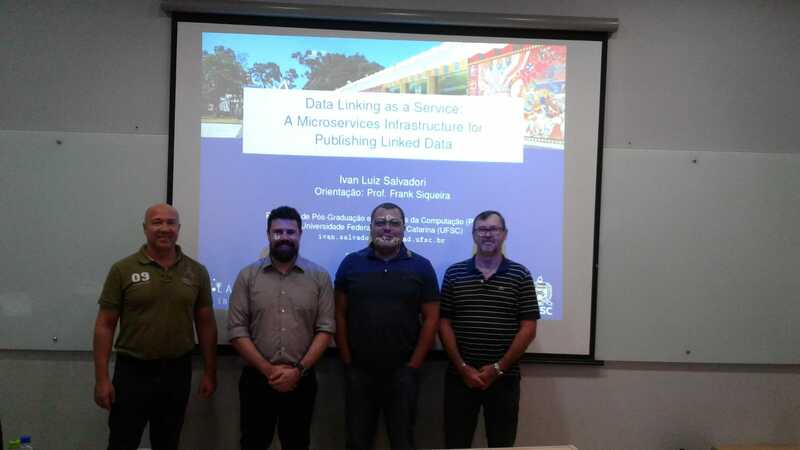 His PhD thesis entitled “Data Linking as a Service: A Microservices Infrastructure for Publishing Linked Data” was advised by professor Frank Siqueira. 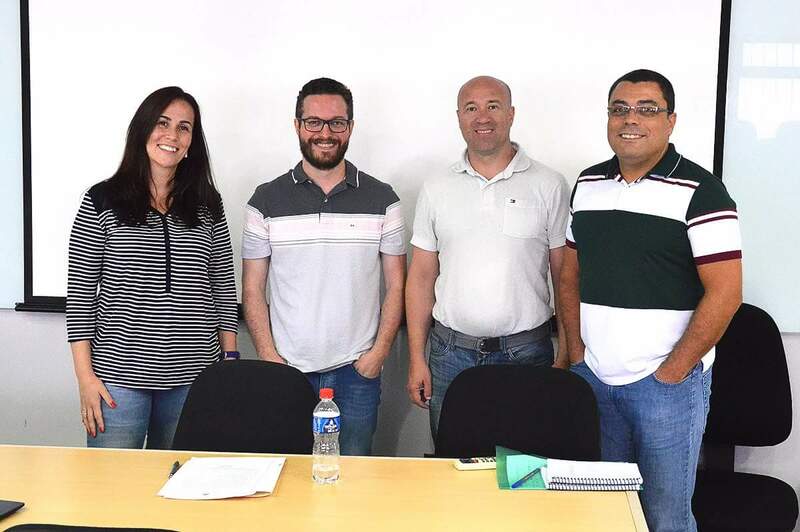 The jury was composed by the following professors: José Leomar Todesco (UFSC – EGC), Nabor das Chagas Mendonça (Universidade de Fortaleza) and Ronaldo dos Santos Mello (PPGCC/UFSC). José Roque Betiol Junior has earned his master´s degree in Computer Science from PPGCC/UFSC on 20/02/2019. His M.Sc. 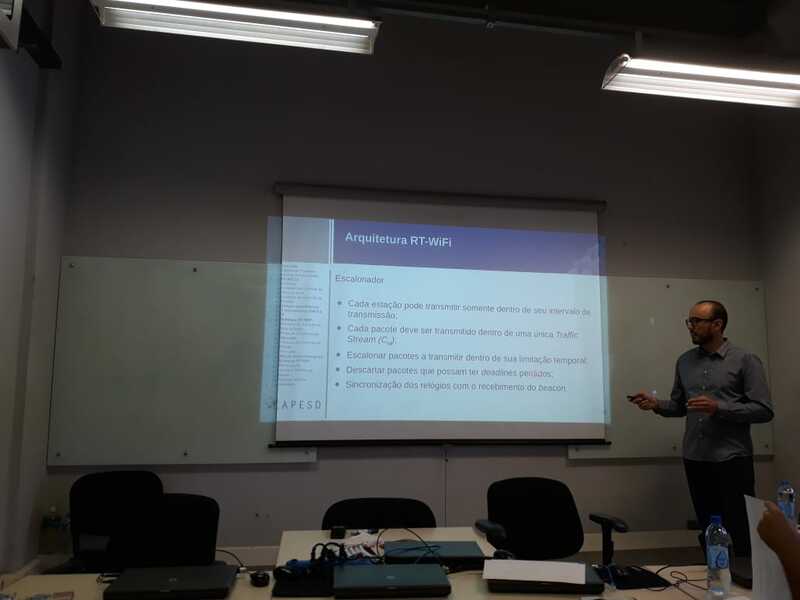 dissertation entitled “Validação Experimental do Protocolo RT-WiFi na Transmissão de Tráfego Tempo Real em Ambientes Abertos” was advised by professor Luciana Rech and professor Ricardo Alexandre de Moraes. The jury was composed by the following professors: Patricia Della Mea Plentz, Carlos de Barros Montez e Alex Sandro Pinto. Ray Willy Neiheiser has earned his master’s degree in Computer Science from PPGCC/UFSC on 16/08/2017. His M.Sc. 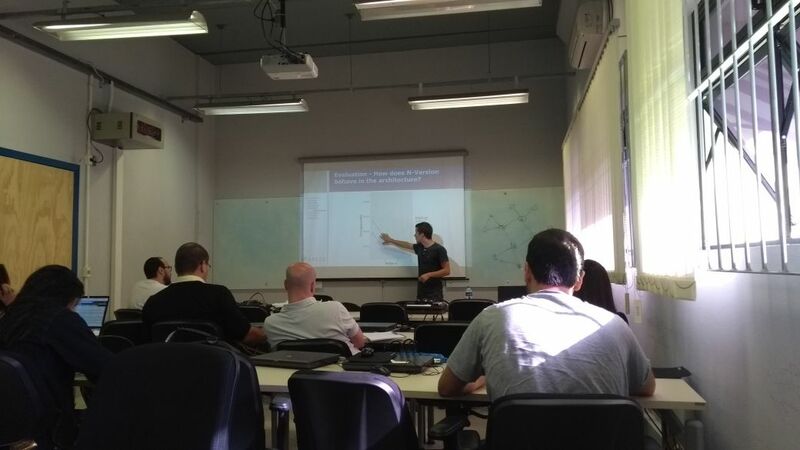 dissertation, entitled “Byzantine Fault Tolerant Architecture in Geographically Distributed Graph Databases”, was advised by Prof. Luciana Rech. The jury was composed by the following researchers: Prof. Carlos Maziero (UFPR), Prof. Frank Siqueira, Prof. Ronaldo Melo and Prof. Luciana Rech. Hylson Vescovi Netto has earned his doctor’s degree in Computer Science from PPGCC/UFSC on 28/03/2017. His P.h.D thesis, entitled “Armazenamento de Dados Eficiente Tolerante a Faltas Bizantinas em Múltiplas Nuvens com Coordenação de Metadados Integrada a um Gerenciador de Containers”, was advised by Prof. Lau Cheuk Lung. The jury was composed by the following researchers: Prof. Luís Eduardo Rodrigues, Prof. Elias Duarte Júnior, Prof. Joni da Silva Fraga, Prof. Ricardo Moraes, Prof. Frank Siqueira and Prof. Luciana Rech. Daniel Presser has earned his master’s degree in Computer Science from PPGCC/UFSC on 02/11/2016. His M.Sc. dissertation, entitled “Greft: Arbitrary Fault-Tolerant Distributed Graph Processing Architecture”, was advised by Prof. Lau Cheuk Lung. 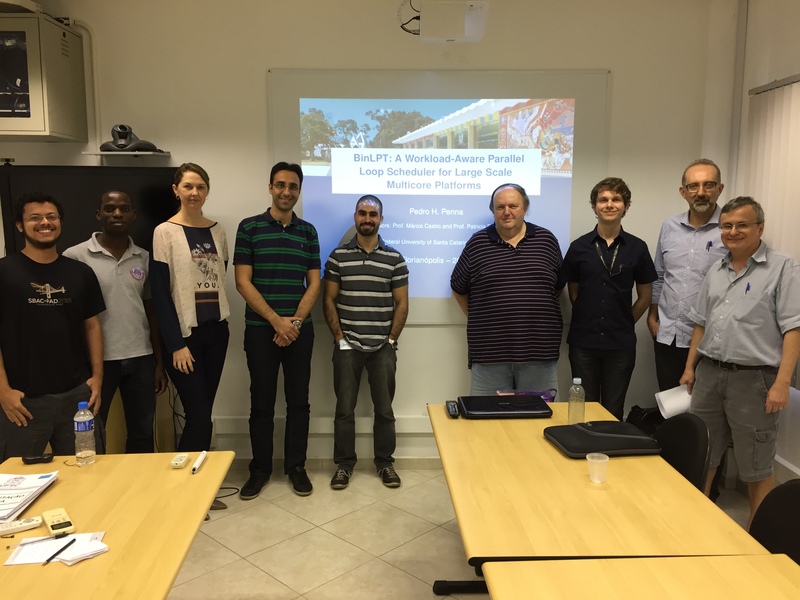 The jury was composed by the following researchers: Prof. Frank Siqueira, Ronaldo Melo and Prof. Luciana Rech.